Zombelina loves to dance. She moonwalks with mummies and boogies with bats. She spins like a specter and glides like a ghost and loves to dance for her family the most. 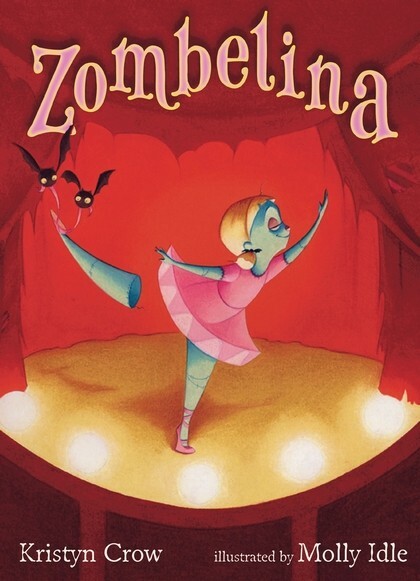 When Zombelina enrolls in a ballet class for real girls, her dancing gives everyone the chills! But when her first recital brings on a case of stage fright, her zombie moans and ghoulish groans scare her audience away. Only her devoted family's cheers, in their special spooky way, help Zombelina dance the ballet debut of her dreams. 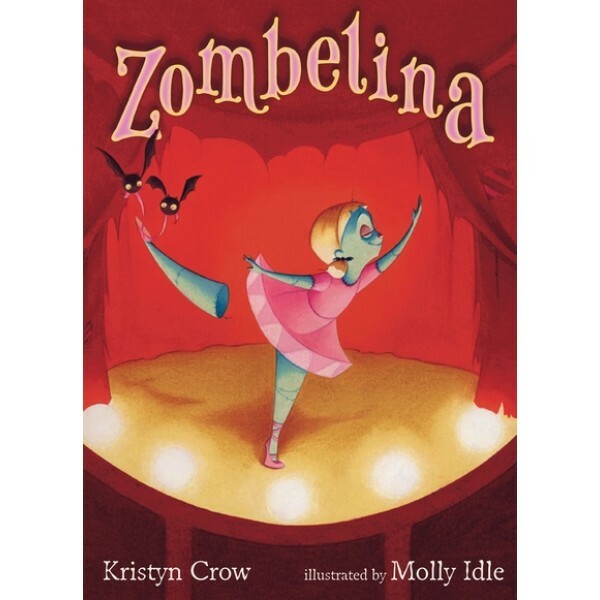 Introducing the most adorable zombie to ever grace the dance floor, Kristyn Crow's pitch-perfect rhyme and Molly Idle's charmingly spook-tacular illustrations will make every reader want to sway and sashay in their own zombie trance.